700 drilling workers came out on strike followed soon after by 900 more. Oil production was curtailed at one Shell oilfield. 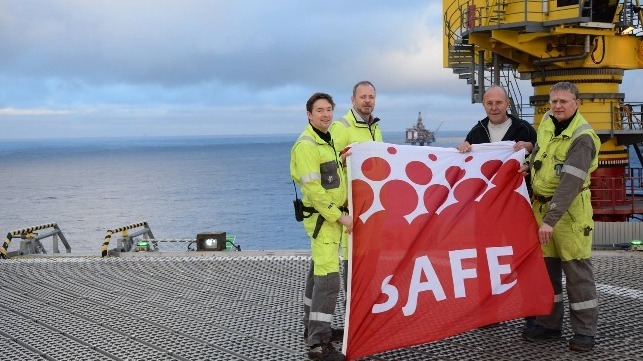 In response the managing director of Maersk Drilling and negotiator for the Shipowners Association, Jakob Korsgaard, responded by threatening striking workers with the sack, increasing the chances of a long strike, and bringing as many as 35,000 workers out on strike. Strikes may soon take place this July in the UK part of the North Sea oilfields, with workers due to come out on 3 Total SA platforms. This strike seems to have come to an end but a new one is apparently starting in the UK, according to this oil industry website. The union claim that 83.4% of Unite members on a 80.1 per cent turnout rejected a final pay, terms and conditions offer made by Aker Solutions management. Around 200 of the Aker Solutions workers are involved in the prospective industrial action which is likely to take place between early August to early October. An overtime ban will also be in place during this period.